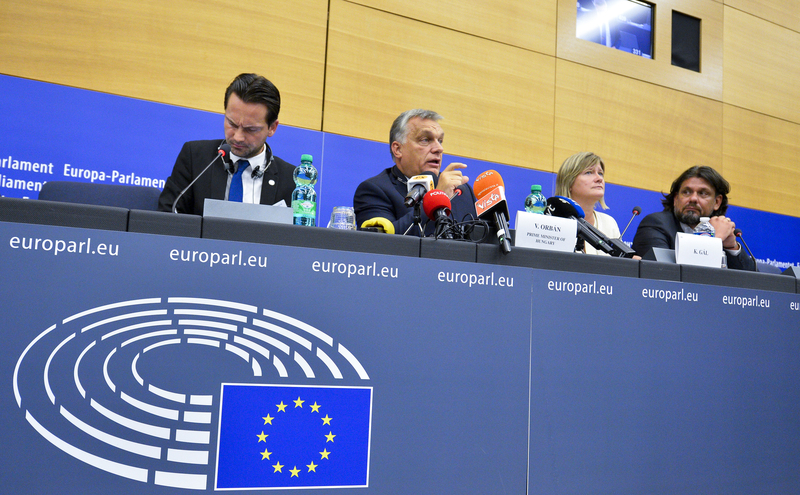 MEPs held a debate on the rule of law in Hungary on Wednesday (30 January) in Brussels, following a historic vote in the European Parliament last September to launch a sanctions procedure over concerns on a backsliding on democracy. Key MEPs called on the Romanian presidency of the EU to put Hungary back on the agenda of the Council of member states. They also called on EU member states to discipline Hungary's government, led by nationalist and populist prime minister Viktor Orban. "I am surprised that the council still has not taken serious steps, it is not possible that a member state moves further away from common values, and simply accepting that would mean abandoning the common European project," Josef Weidenholzer, an Austrian MEP from the Socialists and Democrats, said. 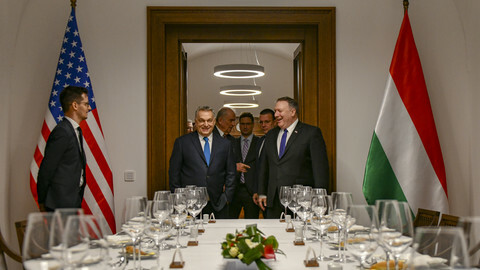 "Hungary is becoming a facade of a democracy," Weidenholzer added. Ingeborg Grassle, a German MEP overseeing the use of EU funds, warned that in Hungary "EU money isn't being spent as it should be". Grassle, who hails from the same political family as Orban's Fidesz, the centre-right European People's Party (EPP), said Hungary "has a problem with fraud, with corruption, with public tendering and with the fact that the justice system doesn't want to deal with crimes, perhaps because there are people protecting the criminals there". The head of the budgetary control committee added that local auditors also have a problem with the government, which does not take action on these crimes. "Please council, make sure that soon we can deal with these issues," Grassle told MEPs, adding this cannot be tolerated in a European country. Green MEP Judith Sargentini, who was responsible for the original report on Hungary that triggered the sanctions procedure, said the Romanian presidency of the EU should come forward with a timetable on how to deal with Hungary. 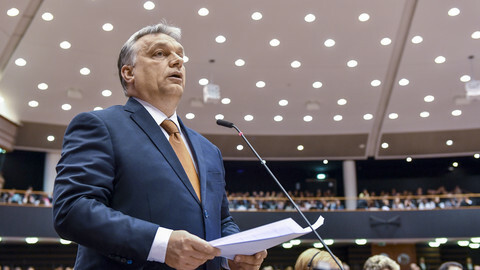 Last September the European parliament adopted a report on the decline of Hungary's rule of law and democracy and triggered the so-called Article 7 procedure, which calls for EU member states to check if the country in question breached EU values and fundamental rights. 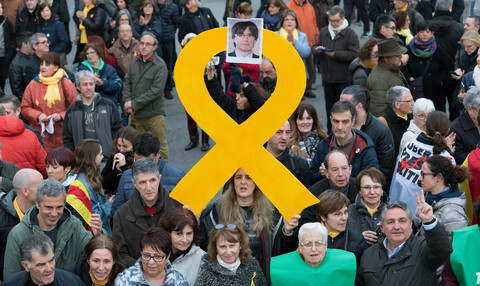 Member states then have the right to give a formal warning to the country accused of violating fundamental rights. If nothing changes after that, a new phase kicks in with the sanctions procedure. 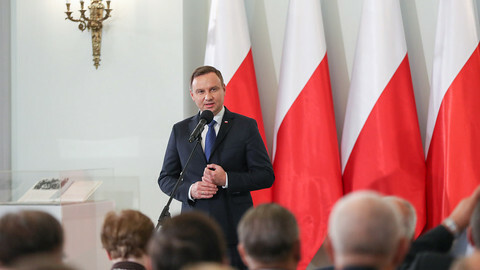 A similar process is underway against Poland, this time triggered by the European Commission. 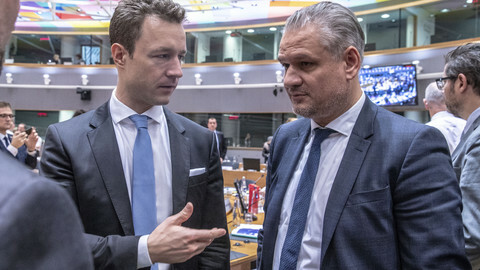 Poland and Hungary have both featured on the agenda of the council of EU affairs ministers under the Austrian presidency of the EU, but the current Romanian one has so far kept quiet about what it plans as a next step. EU ambassadors had their first discussion under the Romanian presidency on the issue on Wednesday. Member states are reluctant to discipline each other, which can be perceived as political interference. Both Poland's and Hungary's possible breach of EU rules and values are stuck in the council. EU commission vice-president Frans Timmermans told MEPs that the situation in Hungary had worsened since they adopted Sargentini's report. He said the EU executive is looking into the so-called 'Stop Soros' legislation, which "criminalises activities of organisations that support asylum and residence applications" and further restrict asylum requests. The legislation targets NGOs critical of the government's hardline anti-migration policies. Hungary has two months to respond to the commission's questions on the legislation, after which the EU executive can take the country to the EU's top court. The commission is also looking into the legislation on overtime adopted in December, dubbed a "slave law" by the Hungarian opposition, and which sparked street protests in Hungary for significantly increasing overtime for employees. The commission is also investigating changes to the law on higher education, which critics say targeted the Central European University, founded by Orban's self-declared nemesis, US billionaire George Soros. 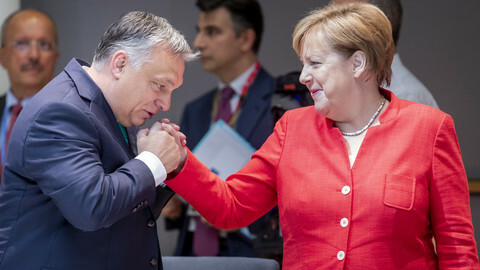 CEU announced that it had forced to relocate its US-accredited programs to Vienna because of the Orban government's unwillingness to secure its future in Budapest. "Having a university forced to leave because of government measures and systematic pressure is unprecedented the history of the EU, and it is sad and worrying that this can happen in the EU," Timmermans said. Timmermans also said the merger of more than 400 media outlets under one media holding whose board is government-affiliated is also worrying, given that the move was exempted from scrutiny by the national competition and media authorities. Timmermans, the commissioner in charge of upholding rule of law, said the EU executive was also examining if legislation adopted in December in Hungary creating a new administrative court system is in line with EU rules. He also urged member states to take action. "The council now has all the key elements to starts its own assessment on the issues raised," Timmermans said. 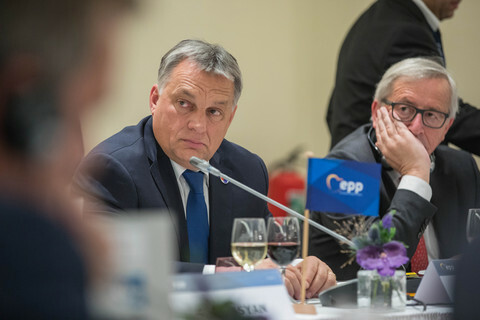 While Orban has been a regular participant in debates on Hungary in the European Parliament, this time the prime minister stayed away. 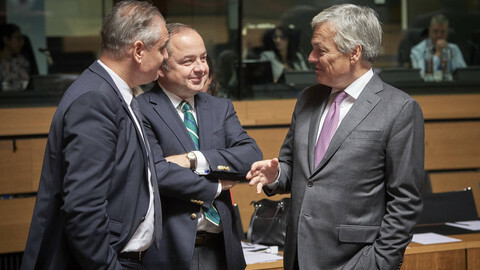 German MEP and head of the EPP group, Manfred Weber, who is running for the commission's top job in the upcoming elections, was also absent. It fell to Orban-ally MEP Tamas Deutsch to present the views of Orban's government, who accused the "leftwing-liberal majority" of the EU parliament of attacking Hungary because of the government's anti-migration stance. "You basically think migration is a human right, you want to legalise illegal migration, [...] you want to take away member states' right to border protection and asylum procedures, and you financially support the illegal actions of organisations that organise illegal migration," he told fellow MEPs. "You want to threaten, blackmail and punish countries that reject migration," Deutsch said, adding that Hungary's government is under attack because it wants to eliminate migration that threatens the European way of life. Deutsch also accused the parliament of scheduling the Hungary debate now because of the impending campaign for the European elections. Hungary and Poland have been fiercely resisting attempts to share migrants among member states in case another influx of asylum seekers. Legislation on reforming the EU's asylum system has been stuck due to differences among member states on the need for distribution of migrants.